Today, the CryoVex ground and air teams arrived in Resolute Bay, Nunavut in Canada, on the way to the next campaign leg in the Lincoln Sea. 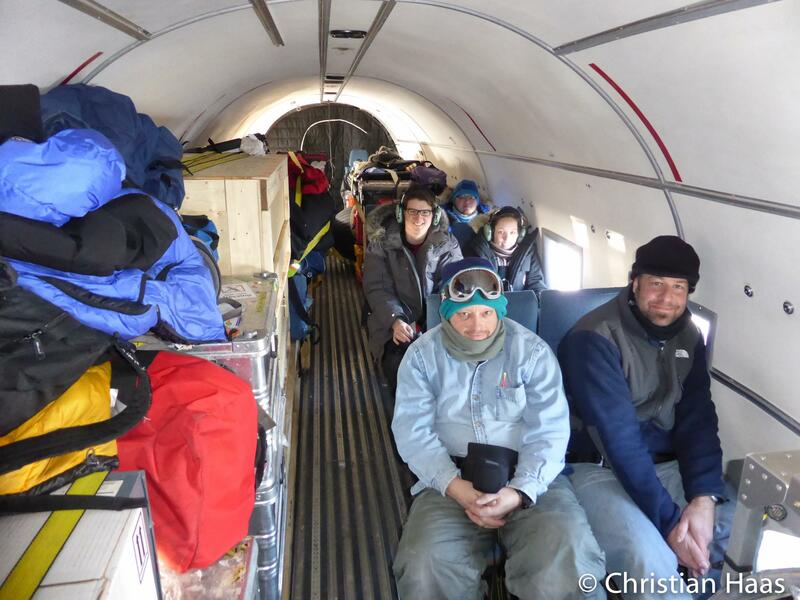 The airborne EM-bird team and on ice- teams arrived via the DC-3 after picking up the ground team in Sachs Harbour. I think the air crew were surprised by the amount of science equipment the ground team had with them but everything managed to fit. 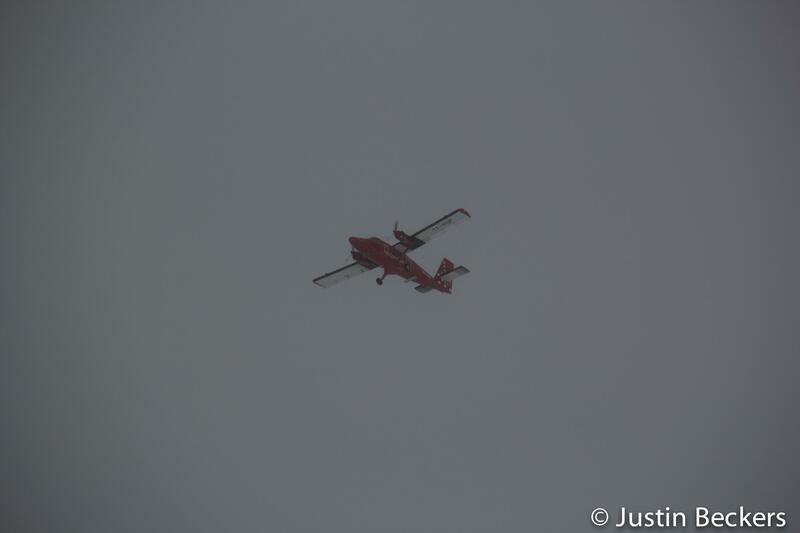 The ground team has spent the past week in a sea ice camp in the Beaufort Sea taking measurements of the snow and ice properties while the airborne team has been flying over the sea ice in tandem with the ESA ASIRAS sensor mounted on a Twin Otter operated by the Danish Technical University (DTU). Tomorrow morning, the two planes with the science teams will transfer to Station Nord. 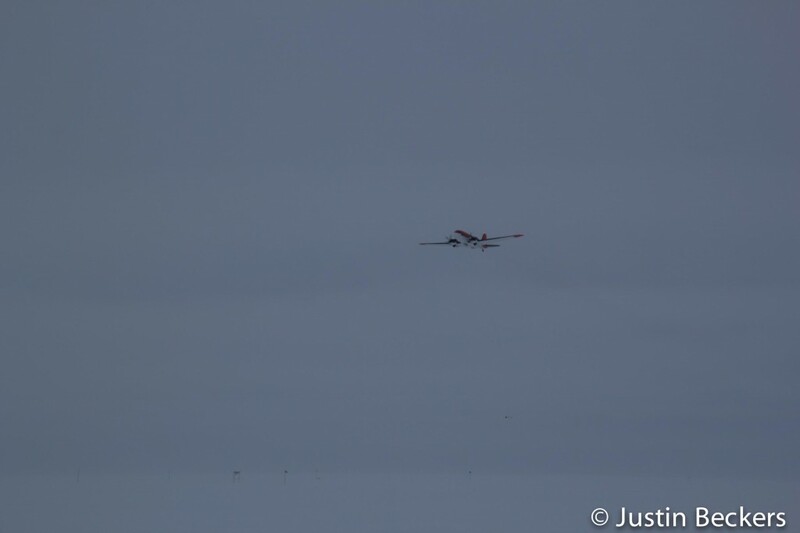 The two planes will fly tandem missions over the sea ice (with a possible mission with the NASA Operation IceBridge aircraft) while the ground team deploys another camp on the ice and conducts measurements of the ice and snow properties. 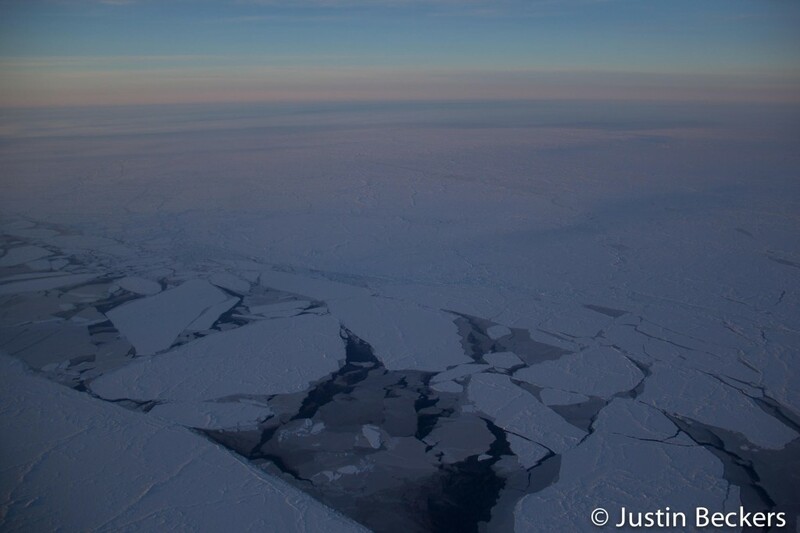 The sea ice and snow measurements will consist of snow and ice thickness, snow density, and snow surface elevation. The ground team sets up a 2 km long survey line with a 400×60 m grid box at the centre. Furthermore, Tom Armitage, Rachel Tilling, and Ewan Shilland from University College London will bring a Ku-band radar to operate on the ice. The ground team will also deploy Radar corner reflectors for the DTU ASIRAS sensor and the NASA P-3 snow radar. A Radar corner reflector strongly reflects Radar signals providing a reference position and height signal. 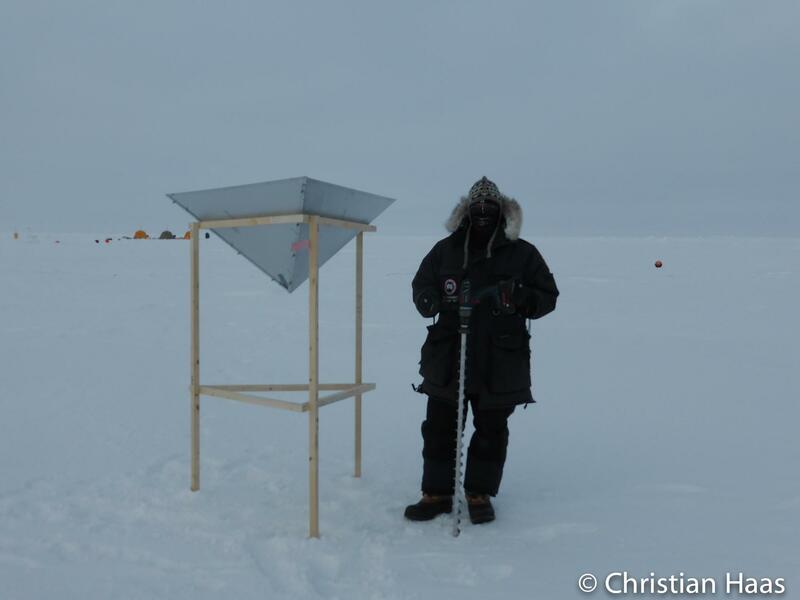 Over the next 10 days, the ground team will conduct snow and ice measurements and deploy corner reflectors at one or two sea ice camps. 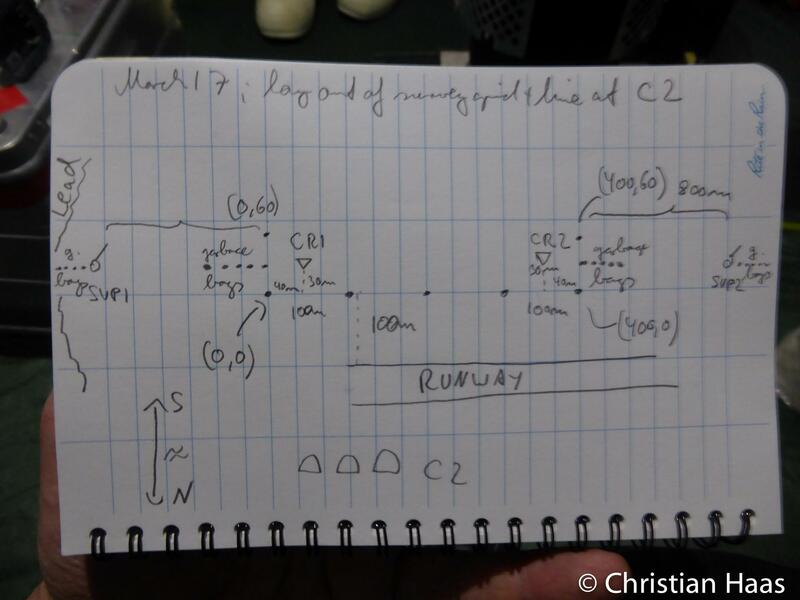 The aircraft will attempt to over fly these in-situ sites while also surveying under the CryoSat satellite.